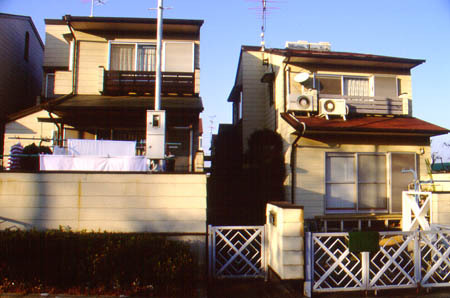 Alley House is a detached housing site which is located in Sakai City, Osaka Province, Japan. It was developed in 1984. It has a development area of 4,525m2 (The site is approx. 45 x 100m.) 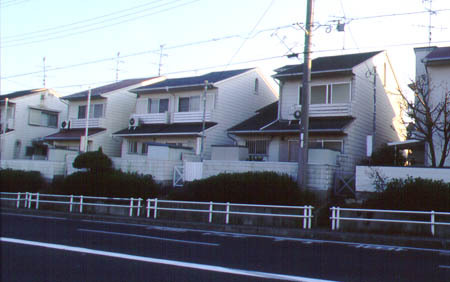 and 24 unit houses. 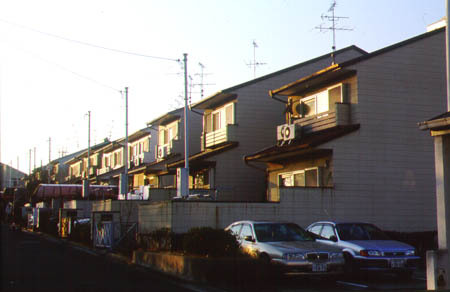 The average floor area of the unit house is 105m2. 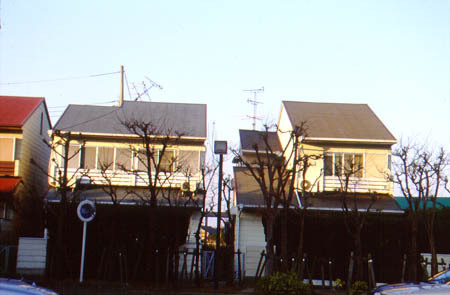 The houses are laid out in two rows, with a pedestrian mall at the center running from west to east . 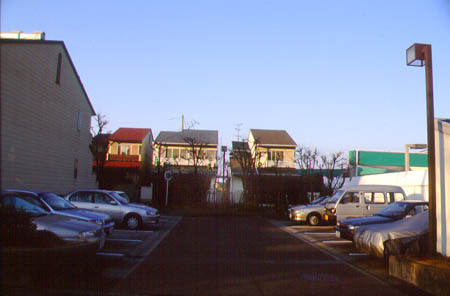 The point of the site planning was to utilize land effectively. 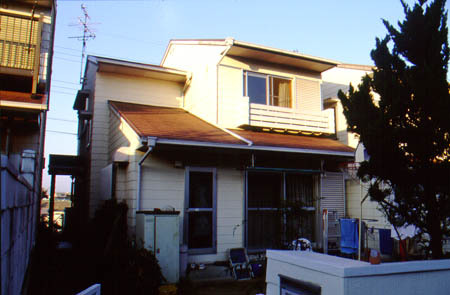 In this respect, the layout pattern of the traditional Japanese house, Machiya, was referred to. 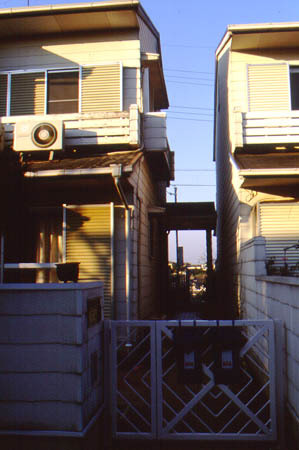 The one side of a house is on a border line of its lot, and along another side is the penetrating alley of 1.4~1.8m width. 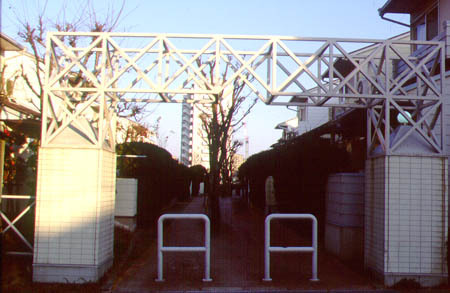 The entrance of each house is located at around the center of 'the alley' from which the name of 'Alley House' was derived. 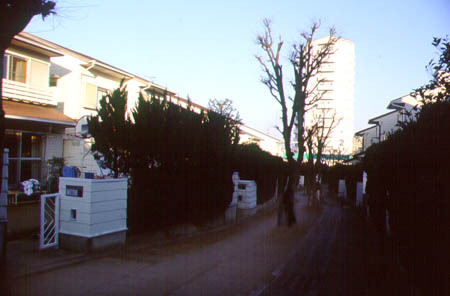 All the alleys are connected to the central mall which can be pedestrian with a mass parking of the south-eastern corner of the site, for the houses at the northern part of the site. Click the arrows to see larger images!